Welcome to Counseling Associates, where your entire family can benefit from compassionate, quality counseling. Our number one priority is helping you create the best possible life for yourself. The client comes first at Counseling Associates, and each of our practitioners does his or her best to foster individual working relationships centered on caring and understanding. Whatever problems you are facing, whether in your marriage, your business, or your family relationships, you are not alone. Your therapist at Counseling Associates will draw from extensive education and experience to help you find healthy ways to process feelings and thoughts so that you may gain control over your quality of life. We want you to feel comfortable and be satisfied with our service, and we promote openness and trust by listening to you with compassion. Counseling Associates' staff includes social workers, psychologists, and psychiatrists to provide an extensive range of services for children, adults, and families. The comprehensive diagnostic and treatment services offered in our West Bloomfield office are specifically geared toward meeting the needs of individuals and families in Detroit and its suburbs. The practitioners in our practice include authors of many different textbooks. Counseling Associates is also listed among the 100 Best treatment centers for substance abuse. Counseling Associates is licensed by the Michigan Department of Public Health, Office of Substance Abuse Services and has been accredited by national accrediting organizations. We are currently accredited by the Commission on Accreditation of Rehabilitation Facilities (C.A.R.F) as a mental health and substance abuse clinic. 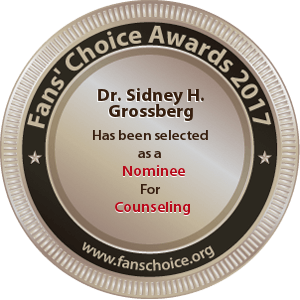 We are happy that you have visited the Counseling Associates website. You have taken a positive first step toward achieving a life more satisfying for yourself, your spouse, and those whom you love. Whether you are seeking help for a behavioral or life issue or want to simply gain more from your life experiences, we can work together to design real life solutions that accomplish positive, lasting change. We have assembled helpful information on our site and we are happy to speak with you personally. Please contact a friendly staff member at .